Your local Bank of Canton mortgage lender can explain the advantages of our construction-to-perm loans, and help you choose the best financing option for your situation. 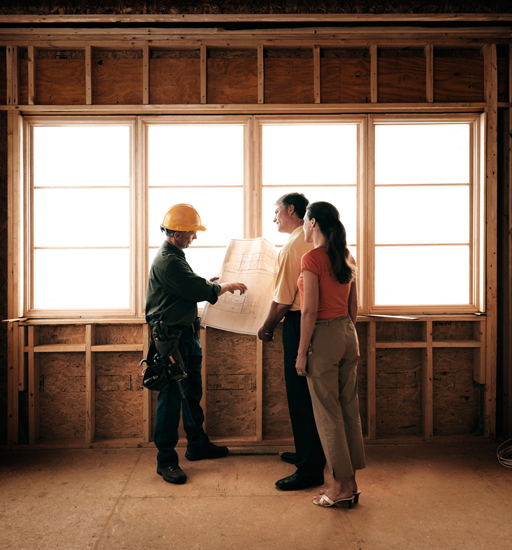 If your mortgage financing needs include construction work, such as new construction, substantial rehabilitation/renovation, or a complete tear down, a Bank of Canton construction-to-permanent loan (“construction-to-perm”) can cover all phases of your project. As a single loan that combines construction and mortgage financing, you’ll enjoy a convenient, single-closing process. You’ll also have the flexibility to make interest-only payments during the construction phase of your project. Plus, you have the freedom to choose from our wide selection of mortgage options, including fixed- and adjustable-rate mortgages, jumbo or conventional, and more.